Zimbabwe's opposition says its members have been victims of a brutal crackdown in response to violent protests against a sharp rise in the price of fuel. 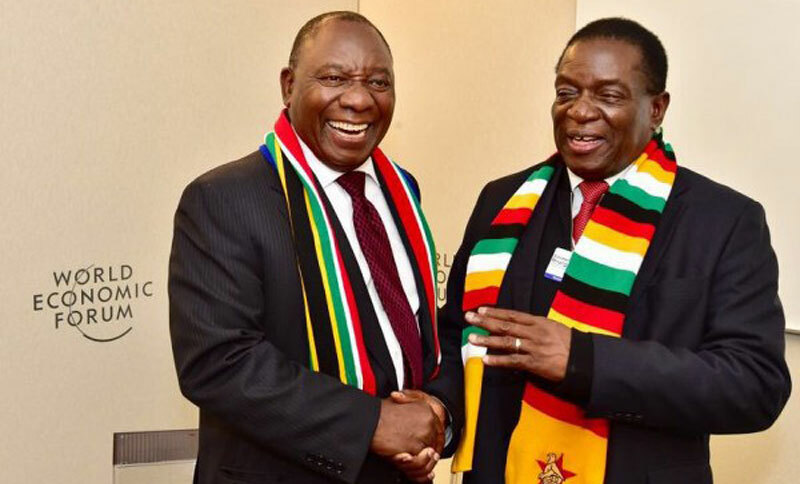 Earlier it emerged that South Africa had rejected a request from Zimbabwe for an emergency loan of $1.2bn (£932m) in December. The government had hoped the cash would help stabilise the economy and resolve fuel shortages in the country. On Sunday, the government said the security forces' actions were just "a foretaste of things to come". News of the violent crackdown emerged despite the country's internet, including social media and messaging apps, being cut off. "The MDC leadership has been consistently pushing out the message that they will use violent street action to overturn the results of [last year's] ballot," George Charamba said. The opposition rejected a court ruling in August that confirmed that President Mnangagwa had beaten Chamisa. "There is no justification whatsoever of having soldiers with live ammunition, with guns, machine guns, AK47 on the streets, beating up citizens," Chamisa told the BBC. "People are being approached in their homes, they are being taken out of their homes with their families even if they are sleeping... a lot of people have been arrested for no apparent reason." The MDC's national chairperson, Thabitha Khumalo, said that she had gone into hiding after the police and military turned up at her home at night. Zimbabwe's President Emmerson Mnangagwa announcement of a steep increase in the fuel price over a week ago led to angry protests in the capital, Harare, and the south-western city of Bulawayo. He has been struggling to revive the economy, which is experiencing high inflation while wages have stagnated. The president has now cut short his foreign tour to return home "in light of the economic situation", he said on Twitter.